This summer over 700 Achievers Scholars, all rising seniors from 27 CSF high schools across Washington state, got a taste of college life at our immersive Achievers College Experience (ACE). ACE helps to break down misconceptions and demystify college for students who fear the unknown and are anxious about whether a college degree is something they are capable of achieving. Our scholars learned how to navigate the college admissions process, diving deeply into tips and strategies to elevate SAT and ACT performance. They also learned how to navigate financial aid and find the right college fit. And by staying in the dorms and eating in the cafeteria, students got a real sense of what it’s like to be on a college campus. Over the course of this experience, students built friendships with other college-bound students and gained valuable insight about ways to foster community while in college. Similar to ACE for rising seniors, our freshman and sophomore HERO Scholars from across the state also participated in immersive summer experiences to prepare them for the coming academic school year and help them with college and career planning. 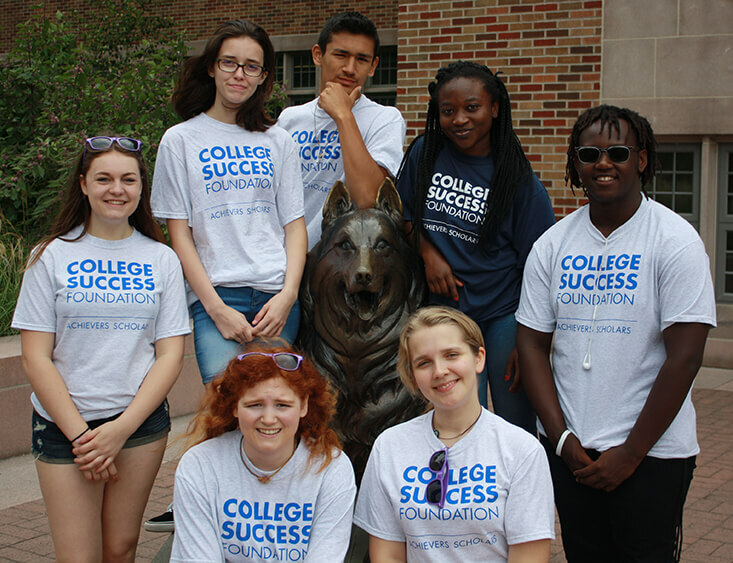 While ACE focuses on college fit, navigating admissions and paying for college, our HERO summer experience prioritizes building effective academic behaviors, developing strong academic mindsets and expanding college and career knowledge. Whether through a week-long experience with day trips to regional college campuses and employers or a three-day overnight experience at Camp Casey on Whidbey Island, our scholars built strong bonds with their college-bound peers, learned from inspiring guest speakers and explored new campuses and career sites. Our summer college campus experience for foster youth helps students from foster care successfully transition from high school to college and build a strong community. As many have experienced trauma and a lifetime of upheaval and uncertainty, the experience empowers them to forge meaningful friendships and discover new avenues of support. 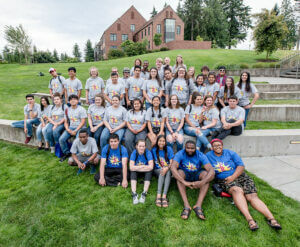 This summer, our students from foster care experienced campus life firsthand at University of Puget Sound in Tacoma, where they stayed in campus housing and attended workshops on college readiness and financial aid. They built new skills, grew their supportive community and got the resources and tools they need to plan for college. After graduating from high school, our scholars jump into a challenging new world of freedom, responsibility, new peers and unfamiliar surroundings as first-year college students. CSF’s College Prep Advisors (CPAs) helped our high school graduates stay the course throughout the summer by providing them with reminders to register for classes, connect to our CSF College Services team and to campus resources and support staff, and complete the important documents necessary to enroll in fall quarter. Through these summer experiences, our scholars were able to begin their fall term with a firm foundation of support and awareness of what it takes to be successful in college. CSF Scholars from Auburn, Kent, Seattle and Highline school districts visited Western Washington University during the 2018 Achievers College Experience. Students from foster care experienced campus life firsthand at our summer college campus experience for foster youth. CSF Scholars from Yakima and Spokane school districts visited University of Washington during the 2018 Achievers College Experience.